Students displaced by the Camp Fire in Paradise, California, are returning to school for the first time since the deadly fire leveled most of their town. Add Wildfires as an interest to stay up to date on the latest Wildfires news, video, and analysis from ABC News. Paradise Elementary students will be attending classes today in Oroville, about 20 miles south of Paradise, where nearly 30,000 residents were forced to relocate after the wildfire. Students at the town's five other schools also will be bused to nearby towns for classes, the Paradise Unified School District said in a statement. Nearly all the necessary school supplies, including backpacks, have been donated. 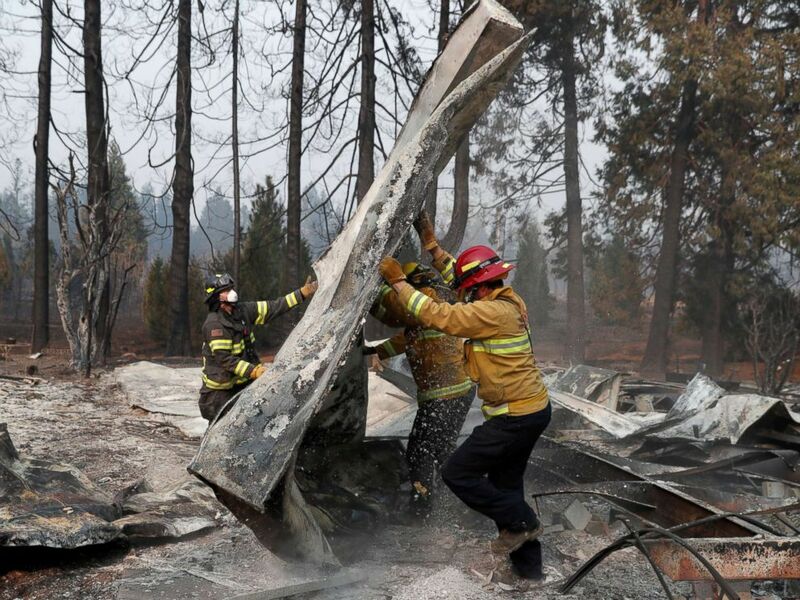 Firefighters move debris while recovering human remains from a trailer home destroyed by the Camp Fire in Paradise, Calif., Nov. 17, 2018. "Through everything that we have all been through, the one thing we wanted to make sure we could see through is that our students be reunited with their PUSD teachers," the district's statement said. "We assure you that, even through our own trauma, we have been working to keep this promise to you. "We have done the best we can with what we have to work with at this time, without compromising a safe and acceptable learning environment." 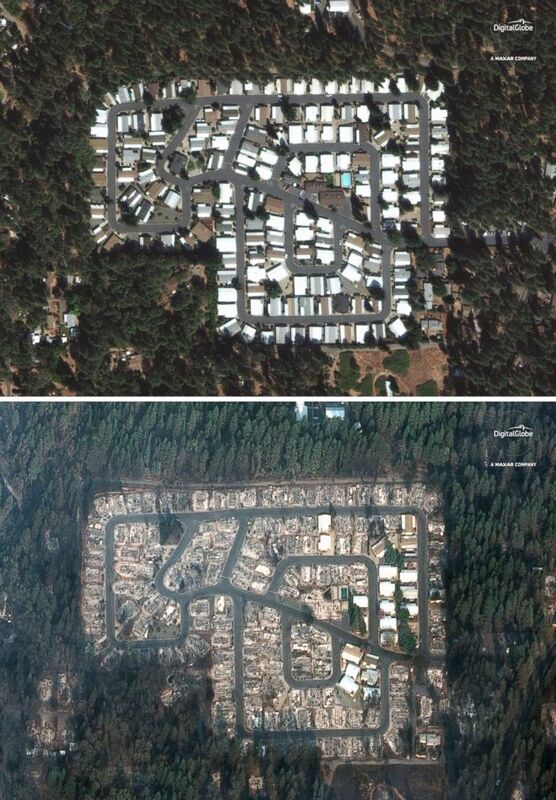 A Sept. 10, 2018, image of the Kilcrease circle community in Paradise, Calif., compared to a Nov. 17, 2018 image this area was destroyed by the deadly Camp Fire. School officials expect attendance levels to come in around 50 percent due to the amount of families displaced by the Camp Fire, considered the most destructive fire in state history. The fire burned for 18 days, destroyed thousands of homes and structures, and killed at least 85 people before it was contained Nov. 25. School officials will have "experts in trauma and social emotional support" for students and staff at each school. "Once the kids are back in school and have their schedule going, similar to what it was before, it will be nice to try to get our life back to somewhat normal," Lana Bunch, a parent who lost her home in Paradise, told ABC affiliate KGO.